While you may be used to someone being called the life of the party, you may not have heard about the title “Wife of the party?” In case you are thinking of adding that to your titles, there’s sad news for you, it’s taken. 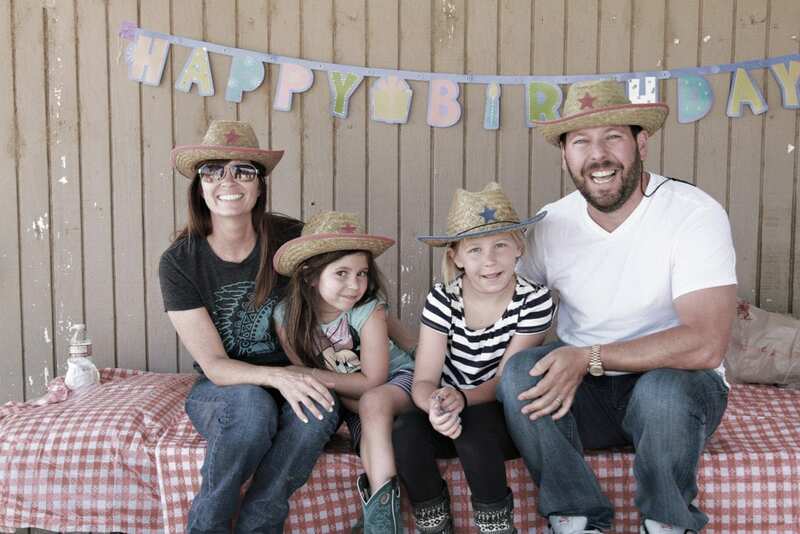 As wife to the ace shirtless, stand-up comedian, Bert Kreischer, LeeAnn Kreischer has earned herself the title of “Wife of the Party,” not because she loves partying but because her husband does; really well. Bert has managed to develop a booming comedy career around his love for partying and longstanding dedication to drinking and his incredibly funny jokes have even featured on Netflix. While most people know Bert, this post turns the spotlight on his amiable wife, LeeAnn Kreischer. Follow us as we show you details about her bio, family and facts about Bert Kreischer’s Wife. LeeAnn Kreischer (a.k.a LeeAnn Kemp) was born in Bowdon, Georgia, the United States, on August 19, 1971. Although details about her parents and early family life are less than a handful, we know she was raised in Bowdon and spent much of her time in Georgia before heading to Los Angeles to pursue a writing career in Hollywood. Also, not much is known about her early education. What’s no secret, however, is that it all tallied up to make her the interesting writer and actress that she is today. After she relocated to Los Angeles, LeeAnn Kreischer worked on various writing teams for a number of projects including; My Biggest Fan – a story about the members of the short-lived American pop boy band, Dream Street, formed in 1999. The movie starred Chris Trousdale in the lead role. Did we mention that she’s an actress? Well, LeeAnn Kreischer appeared in the 2000-released short film, Destiny Stalled. But she is not just an actress, she also hosts her own weekly podcasts and does so from the comfort of their Los Angeles home. Her podcasts are quite the engaging type that invites people to talk about marriage, family life, children, and notable events dominating the airwaves, including the “Metoo” movement, Aziz Ansari’s scandal, and issues around Bert’s friend, Ari Shaffir in the wake of a Twitter banter between Shaffir and Bert in January of 2018. She has also hosted her husband and their children’s piano teacher on the podcast. LeeAnn seems to have embraced the title of “Wife of the Party,” as she uses it quite often in her podcasts. Bert Kreischer, on the other hand, uses LeeAnn in many of his jokes. LeeAnn Kreischer would doubt it a thousand times if anyone told her she will be married to a stand-up comedian; especially the likes of Bert. Although theirs wasn’t the love-at-first-sight-ish, kind of story, it sure had its own pinch of romance. Their first two meetings had been quite “official,” nothing special transpired. In fact, at the time, they were both vehemently pursuing their respective careers in Hollywood. Their third meeting, however, was when things began to spice up a little bit. It was at a mutual friend’s birthday party at a bowling centre and Bert had “shot his shot” and left quite an impression on the then love-stricken LeeAnn Kemp. In pursuit, she got her phone number across to Bert through her friend who happened to be his roommate at the time. LeeAnn couldn’t wrap her mind around someone (who had flirted with her the other day) not calling her for the next five days. As we would later find out, Bert had never asked a girl out for a date, and worse, he had no idea how. In her words, the most LeeAnn Kreischer was expecting was a couple of dates. He sure wasn’t the type a prim lady would want to marry; too wild, crazy, among other things. Being the bold lady that she is, LeeAnn flung girl pride out the window and made the first call, convincing Bert to ask her out. The lovebirds got married in December of 2003. Their union has produced two daughters who they christened Georgia and Ila. LeeAnn Kreischer’s social media account is awash with photos of her family and the many fun moments they have together. What most fans don’t know about LeeAnn Kreischer is her all-in approach to charity, as well as her active philanthropy. On her birthday, she put up a fundraiser for St. Jude Children’s Research Hospital on Facebook. Although there are no public official records bearing LeeAnn’s earnings and net worth, yet, we have details about her husband’s. As of the time of this writing, the talented comedian is estimated to be worth over $1 million. LeeAnn is also a conservationist who put a milkweed plant in her house to increase the population of monarch butterflies in Los Angeles. Her first daughter, Georgia, was named after her home state, Georgia. Talk about identifying with your roots.